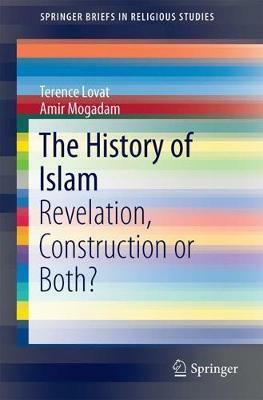 The History of Islam : Revelation, Reconstruction or Both? This book applies philosophical and critical textual scholarship to the traditional Islamic narrative in an attempt to distinguish between its historical and interpretive elements. It allows the narrative to be preserved with due respect for its significance and distinctiveness, but in a way that frees it from the ease with which it can slip into the hands of literalists and fundamentalists in order to serve a purpose which is at odds with its original spirit and intention. When radical Islamists use social media to try and convert young followers to a Jihadist cause, they refer often to the narrative about the Prophet, the original Islamic community (Ummah), and the holy book (Qur'an). The references usually imply that these are under threat by infidels, either non-Muslim Westerners or Muslims themselves who follow allegedly errant forms of Islam. The narrative itself is, however, never questioned; it is taken as merely factual with every word to be taken literally, including words that appear intolerant of difference and given to violence. As such, it can serve well the forms of fundamentalism that lie at the heart of radical Islamism and Jihadism. Because of a shortage of critical scholarship about Islam's central narrative, the radical Islamist understanding of it differs too little from that of mainstream Muslims. Neither tends to take sufficient account of the context of the writing, its original purpose or the many interpretive elements that have been overlain. This makes it difficult for mainstream Islamic authorities to counter effectively the radical Islamist discourse or to distinguish moderate and liberal forms of religious practice from radical breakaway forms. In turn, this causes confusion among Muslims, who know the radical Islamists are in error but find it hard to say just why, and even greater confusion and angst among non-Muslims, for whom the allegation that all of Islam is inherently violent and to be feared is clearly being heard by an increasing number. This book sets out to address this problem by applying forms of scholarship that can preserve the best of the Islamic narrative while, at the same time, illustrating just how errant is the radical Islamist understanding of it. Illustrations note VIII, 89 p.
Chapter 6. Doing Justice to The History: The Effects of Narrative Literalism and its Opposite. Terence Lovat is Emeritus Professor and Postgraduate Theology Convenor at the University of Newcastle, Australia, and Honorary Research Fellow at Oxford University, UK. He is a former Pro Vice-Chancellor and Dean at Newcastle. One of his main areas of research (incl. funded) involves Islam with particular attention to its relationship with Judaeo-Christianity and `Western' civilization. He has won awards from Islamic groups for his work on Islam. Amir Moghadam is a conjoint academic at the University of Newcastle, Australia where he has been teaching topics including the history of Islam and Islamic philosophy. He has recently received his PhD from the University of Newcastle. Amir's thesis was on the power and knowledge in the history of Tabari. Amir's other areas of research are Middle Eastern Studies, Historical Narratives, and the Problems of Historical Consciousness.